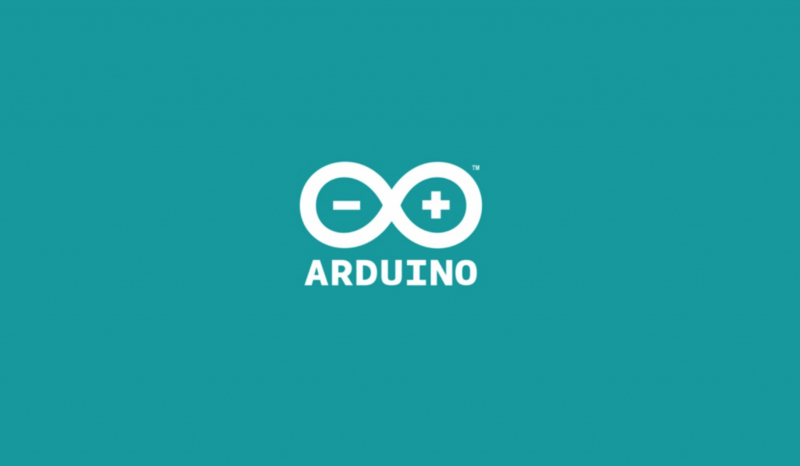 The arduino is a micro controller. Its a hardware device that has a piece of code written to it, which it executes. 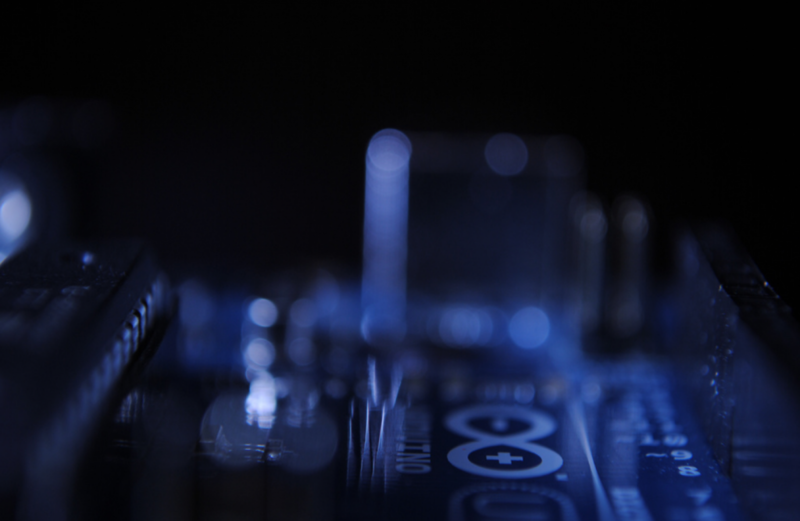 External pieces of hardware like motors, LEDs, motion sensors, speakers etc are connected to the microcontroller using IO (input output) pins, and is controlled by the code. In-depth knowledge of coding isn’t required because there is so much open source (free developed software) material available to cut something together to perform the function you want. It uses its own programming language which is similar to C++, and has its own IDE (integrated development environment). There are different arduinos available, with different hardware components, and good for for different applications. 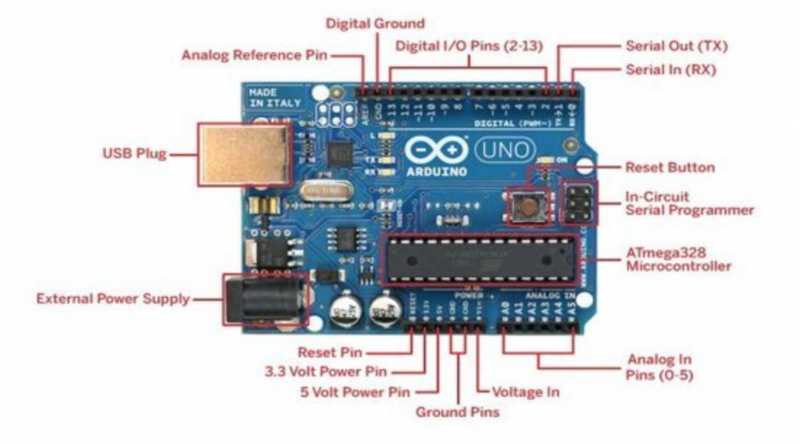 For a clearer understanding of how an arduino works and where to get started, here is a step by step overview. 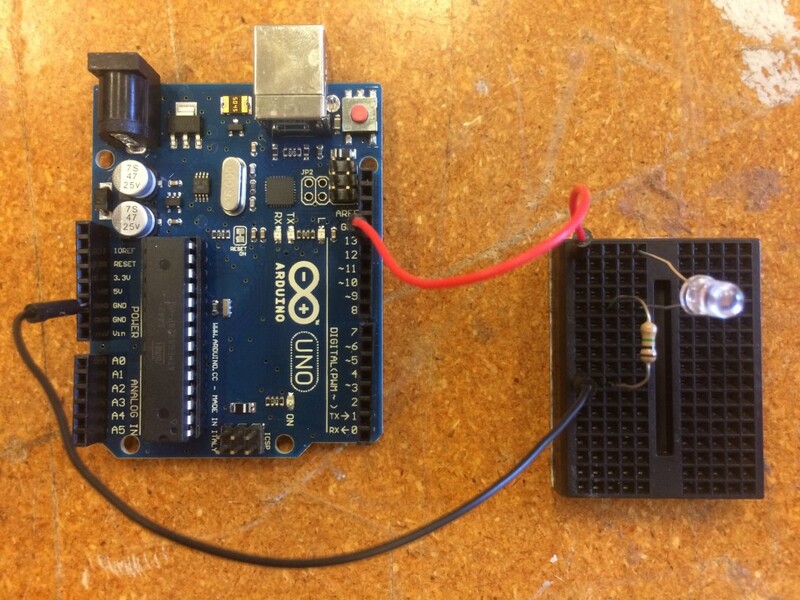 wire up the arduino to create a circuit, using components that the code is written for. In our short session playing around with Arduinos, we got some basic functionalities to work: LEDs, motors, and touch sensors. Wired up Arduino for lighting an LED. And heres how to do it. Using a combination of all 3, here’s an LED lighting up and motor stopping, on touch. 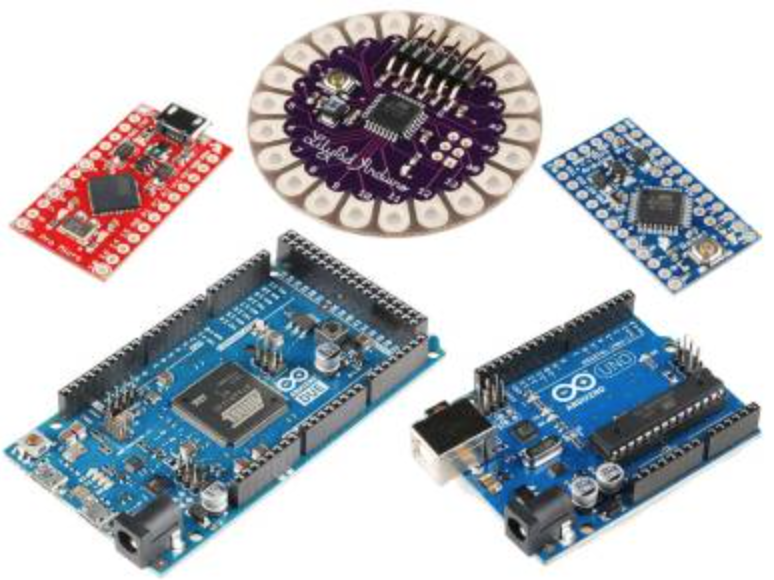 Arduinos open up lot of scope for automated projects. If you can think it, then you can make it happen! 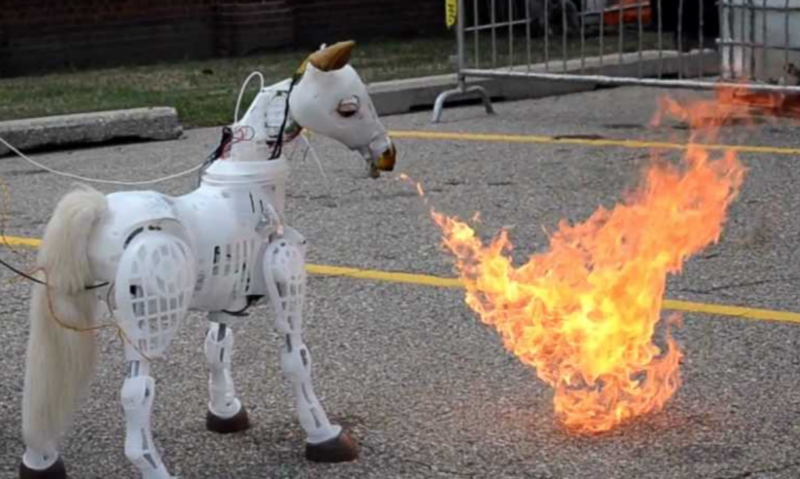 Its just a little programming and automation, all powered by Arduino! This entry was posted in Reflections, Week7 by Lois Holman. Bookmark the permalink. I really like your “series” of posts: How to. It has a nice ring to it and you compose your posts in a very unique way! I haven’t worked with Arduinos yet, but it’s cool to see that a user can work with software and not require any specifc coding knowledge, the charm of open source software.